BevHevSteve wrote: Re: Machine Polish - My opinion - NEVER on those borrani wheels as you will loose some/most of the stamping and besides, go for a couple rides and wipe the wheels and they will get dull anyways so getting them to an absolute mirror is just fills a temporary BLING fettish but it is very short lived. So, you would do your wheels best to just go over everything with NEVER-DULL Magic Wadding Polish. That stuff will very quickly and easily keep your wheels looking shiny as the years go by as well. Thanks for the responses, I think I might try and do both... freshen up my original wheels by hand, without re-building, as I expect it's a rare privelege to have a completely original, nearly new set of these wheels, and build up a pair of 'riding wheels' with a wider rear, ss spokes etc. 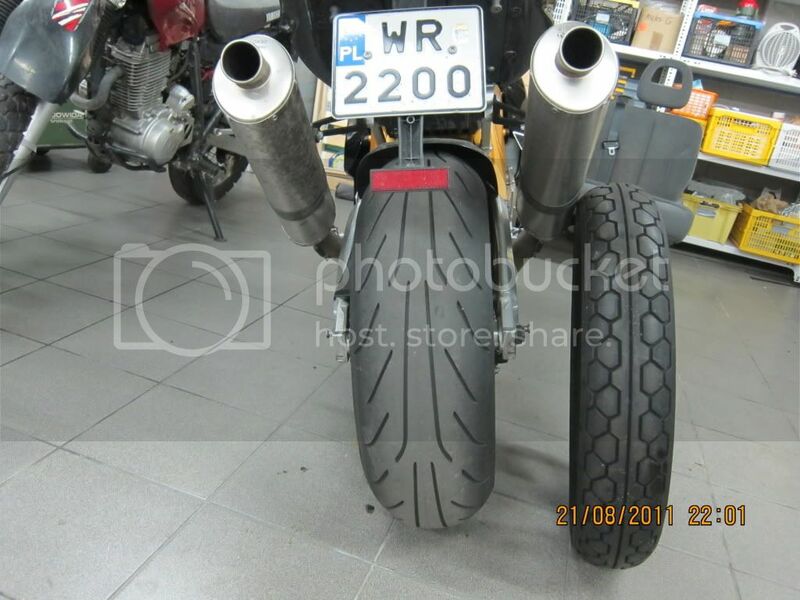 Anybody got suggestions/ experience as to the widest rear tyre that is practical in an unmolested swing arm? I can also report great progress at last, engine is in the frame! I left the frame totally bare (it's heavy enough....) and dropped it over the engine, not as easy as it looks when working solo, much swearing and some paint damage, and, of course, I forgot the swing arm pinch bolts, so out it came again. They say practice makes perfect! One last question, where is the best place on the forum to report progress, with pics of the resto., assuming anybody is interested? My opinion is that bigger is not better. You will slow down your bikes ability to turn, add a bunch of extra weight in the larger tire and tube,... So I would suggest you go no larger than a 2.50 rim and run a 120/80 tire or you could go with a 130/70 max. A wider tire looks nice when you are used to modern bikes but the handling gets all funky.